Jordan Brand has released an all- black version of its Flightflex runner. 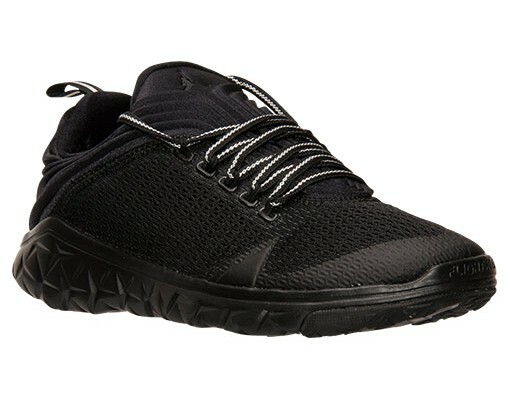 The low-top design features a mesh and leather upper for superior comfort and enhanced breathability on-the-go.Flywire cables extending across the foot offer secure stability, and further enhance the custom snug fit established by a IU midsole for lightweight, flexible cushioning. Grab your pair directly from Nike’s webstore for the retail price of about a bill.